Texas Lottery as the name suggests is a Lottery that is operated by the U.S government. It has its head quarters in Austin. It is available throughout Texas. Texas Lottery was born in the year 1991, when lottery sales was legalised through an amendment. Texas Lottery had an interesting beginning. 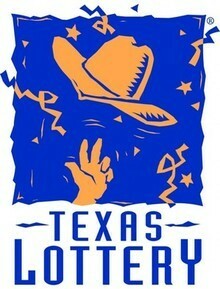 It was decided that Texas Lottery would have its own and unique logo. The question however was who would design the logo. It was decided that both the public and the private designer corporate (ad agency) would participate in a one of its kind (then) competition. One logo each from the ad agency & the public was shortlisted and competed against each other. The logo designed by the public was chosen. The logo, retained till date, was designed by Ms. Susan Holten from Colarado. Texas Lottery began official sales in 1992. In a year of its opening, it beat the record for lottery sales which exceeded USD 1 billion, then held by lottery from another state. In 1993, Texas Lottery became part of the Mega Million there by leading to increased sales. 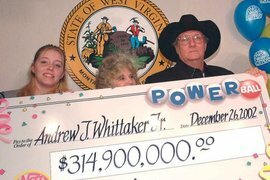 In 2010, Texas Lottery started selling Powerball. It is heartening to know that 63% of the Texas Lottery sales are available as prize money. 25% is channelled towards funding education. The payment options are usually cash options namely CVO (Cash Value Option) or annual payment (AP). Texas Lottery is only US lottery that offers lottery tickets that cost from $1 up to $50. In addition to cash prize, Texas Lottery offered free tickets for further play, trucks are also offered. In addition tickets to view sporting events and even tours to cowboy stadiums are offered. Texas Lottery introduced Lotto Texas in 1992. It is played twice weekly. Players have to choose from 6 numbers. The lottery game uses 54 balls. The jackpot prize is $14 million. The chances of winning a jackpot are 1 in 25,827,165. Draws are twice a week at 10:12 pm central time. This is held on Wednesday and Saturdays. Here, the players choose from 5 numbers. There are 2 sets of 35 balls involved, 4 balls from the 1st set and the 5th ball called the bonus ball which is from the 2nd set. This game was begun in 2001. Draw is held twice weekly at 10.12 pm on Mondays and Thursdays. Jackpot prize is $ 200,000. The winning chances are 1 in 1,832,600. This is newest entrant in the Texas Lottery stable. There are 24 draws in a week. The draws are held in the morning at 10:00 am, midday at 12:27 pm, evening 6:00 pm, and night at 10:12 pm Central Time on all days except Sundays. Here the players either choose or use quick pick 12 numbers from a group of 24. The game is won either if the chosen 12 numbers match those numbers that are drawn, or, if none of the 12 numbers chosen match the numbers drawn. This is quite interesting. Each game costs $2. This is a daily game. This game began in 2002. Texas Lottery Pick 3 game is played 2 times a day, at 12.27 pm and 10.12 pm, from Monday to Saturday. It began in 1993. This game uses 3 sets of single digit numbers from 0 to 9. Each player has to choose his/her 3 digits in, either, the same order, any order (2 or 3 digits), same and otherwise (2 or 3 digits), combo and also based on a concept of addition of the individual digits. Payment is done in one shot as a single payment. The cost for the game depends on the type of draw or bet. This game is played 12 times a week, at 12.27 pm and 10.12 pm, from Monday to Saturday. It began in 2007. This game uses 3 sets of digits from 0 to 9. Each player has to choose his/her 4 digits in, either, the same order, any order (2 or 3 digits), same and otherwise (2 or 3 digits), combo and also based on the concept of addition of the individual digits. Types of choice are Straight (the 4 numbers in same chosen order), Box (the 4 numbers in any order), Straight/Box (the drawn numbers are the same 4 chosen numbers), Pairs [2 of the 4 numbers in same chosen order meaning - first 2 numbers, 2nd and 3rd number or last 2 numbers. Combo Sum It Up, which is based on the addition of the individual digits. Payment is done in one shot as a single payment and prize is guaranteed. The cost for Texas Lottery Daily 4the game depends on the type of draw or bet. As mentioned earlier, it was in 1993 that Texas Lottery became a part of Mega Millions. The game utilizes a 1st group of 56 white balls, and a 2nd group of 46 yellow balls. The 2nd group is called the Mega Ball. Each player has to choose 6 numbers, 5 numbers from the white ball set and the 6th number from the Mega Ball or the yellow ball set. The top prize money is either paid in 26 years in lump cash. The cost of each game is $1. The draws are held twice a week at 10:12 PM Central time. This is held on Tuesdays and Fridays. There is also another feature in Texas Lottery Mega Millions namely Megaplier. Here those prizes those are non-jackpot prizes are identified and multiplied by either 2 or 3 or 4. Texas Lottery introduced Powerball in 2010. Powerball has only AP as its payment option. The core values of Texas Lottery that set it apart from the other lottery agencies are Integrity, Responsibility, Innovation, Fiscal Accountability, Customer Responsiveness, Teamwork and excellence. One core value that Texas Lottery adheres to is Security (as part of Integrity). Texas Lottery is taking continuous steps to ensure that the draws are not rigged and that the customers have a fair chance of winning. 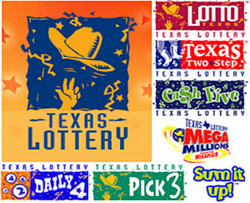 TXLOTTERYX.COM provides comprehensive coverage of Texas lottery including latest drawing results, past winning numbers, lottery news, payout information, jackpot analysis and a series of lottery number analysis tools, combination generation tools, including Intelligent Combos, Power Picks, Win Checker, Lotto Wheels, Overdue Chart, Frequency Chart, etc. These tools provide Texas lottery players the edge to win!